“Suppose aliens existed, and that some had been watching our planet for its entire forty-five million centuries, what would they have seen? Over most of that vast timespan, Earth’s appearance altered very gradually. Continents drifted; ice-cover waxed and waned; successive species emerged, evolved and became extinct. So begins this condensed masterpiece of analysis and observation by Martin Rees, Britain’s Astronomer Royal, one of the world’s greatest living astronomers. 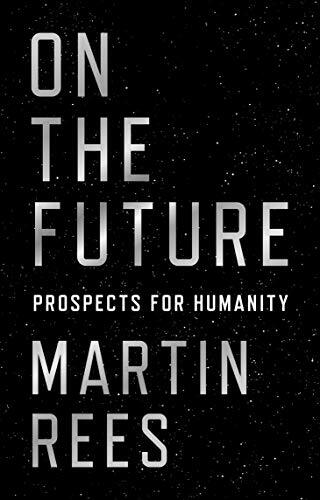 There is much in this short, very readable, book—the disturbing, sometimes positive, sometimes negative, future of biotech; artificial intelligence; global warming; medicine; ageing; communications; nuclear energy;weapons development; sustainability; agricultural research; poverty and employment; but its centerpiece is astronomy. Over the last 50 years our knowledge of the universe has grown exponentially. Today we know our Sun is one of one hundred billion stars in our galaxy, which is itself one of at least one hundred billion other galaxies. These stars orbit around a central hub where lurks a massive black hole. Neither we humans nor any creatures living light years away could ever hope to meet each other. For humans it would take tens of thousands of years to reach the nearest star. At best there might eventually be a connection established by radio signals. Astronomers with their quite amazing telescopes have detected “echoes” of the big bang that triggered our entire universe 13.8 billion years ago. The universe is still expanding. This is how it was born, and with it, all the basic particles of nature. Eminent 19th century thinkers argued that life must pervade the cosmos because, otherwise, such vast domains of space would seem such a waste of the Creator’s efforts. Is life a fluke? If we could find vestigial ife forms elsewhere in the solar system it would be of “epochal importance.” That would tell us life wasn’t a rare fluke but was widespread in the cosmos. Even then that would not be enough to show that intelligent life exists elsewhere. It is most likely that since life’s origin requires such special contingencies that it only happened once in our entire galaxy. Our universe might go on expanding forever, but are our horizons? Woody Allen once said eternity is very long, especially toward the end. But that’s only so if we contrive to make it so.